Dubai our Sandbox: Holiday Season is on and we love it! There is something special about the Holiday seasons specially living in Dubai as an expat family in a multicultural environment. My husband has memories of Dubai since his toddler years and me since my teenager years, Dubai is our home away from home. We cherish this time of the year for what it is, a collections of traditions from our home country and memories from our childhood. Now as parents we know the importance of installing roots and creating family moments. I think our family opted for a colorful mixture of traditions from Sweden, France with also a touch America and a dash of Arabian nights. I think, it's important to know what "the holidays" means to you, and find creative ways to incorporate that in to your life abroad. I wanted to create a fun Holiday photoshoot and ask my mama-entrepreneur friends how they celebrate Christmas in Dubai. Get into the Holiday spirits. It's also the occasion to get inspired by their suggestions from gifts for kids, home decor ideas and cool Holiday looks to wear during the festive seasons. 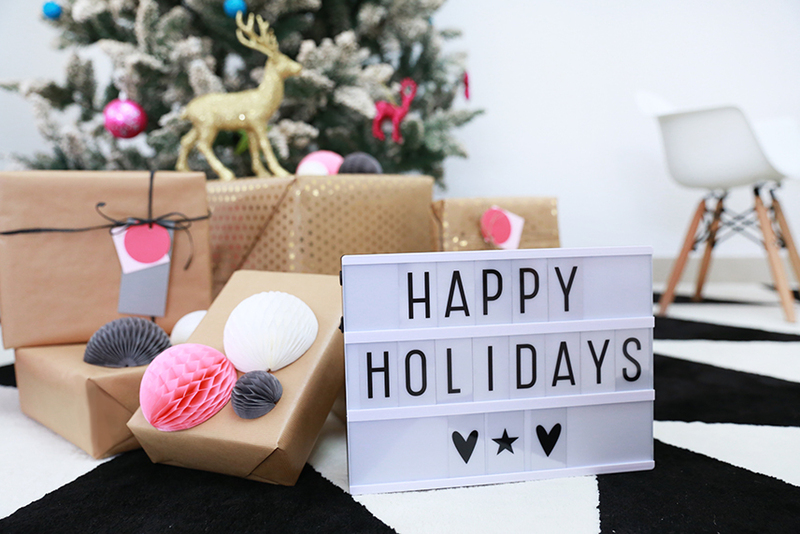 How cute is this Light Boxes and Letter Banner from A Little Lovely Company to set up the festive mood. 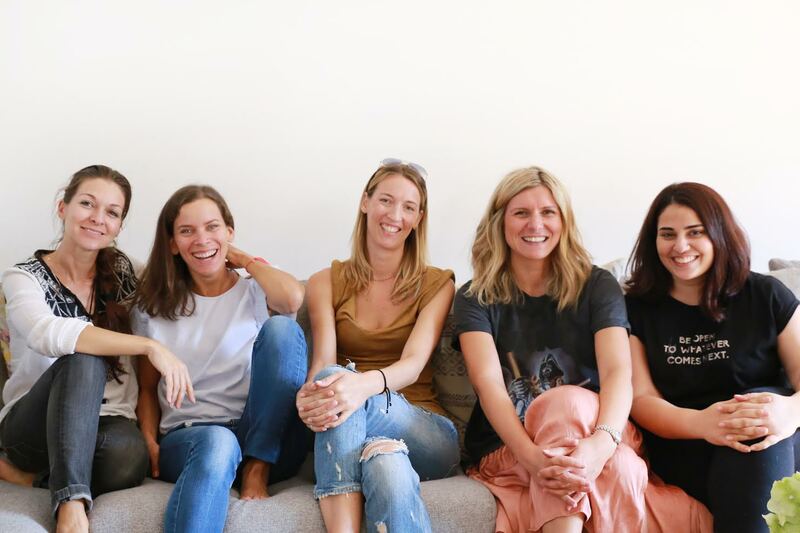 Olivia and Magali from adorable concept store for contemporary and well designed children furniture and play Caramel and Sun tell us about their Winter Holidays in Dubai. Magali, what do you love about Xmas in Dubai? Xmas in Dubai is exactly the opposite of what I have experienced as a child. But I love it as much. Here I feel the atmosphere is calm, relax. Many people have left the country to visit their family, and it is like for 1 week, the buz of the city calms down. You see your closest friends, gather the kids, go to the beach. Simple things! How will you celebrate Xmas this year? This year my parents are coming over from France. We will prepare our usual Chestnut Turkey and play Christmas songs. On the 24th evening, with the kids we will stair at the window, hoping to see the reindeers up in the sky! Kids will wake us up as early as possible on the 25th to open their presents and if we can get them out of the house (which may be difficult as they will be so busy playing with their new toys), we will most probably have a picnic at the beach with friends. We will be celebrating Christmas Eve at the house with my husband and the girls. On the 25th in the morning, I believe Santa may have done a good job over the night so we will be finding out what he has bought us and then we will go over some friends to enjoy a nice BBQ. In Dubai, friends become your family ! We will play games and most probably end up in the pool or at the beach ! Any traditions you have started while living in Dubai? Christmas Placemats from OMY Make a lovely table and wait for Santa using our Christmas paper placemats from the brand OMY. All the family gathers around games, surprises and coloring of all children favorite theme. And how about using our Play & Go bags to store all the toys and gifts Santa has offered to your little one this year? The Play & Go bag is a simple and effective solution to toy storage, and it’s lots of fun. A 2 in one toy storage bag that doubles as a play mat. Even Lego storage is simple, and dolls, cars, balls and blocks can all be swiftly cleared away with one swing. If you want to even personalize your Christmas this year, go for our Trendy 'must have' A4 or A5 lightbox with three or two rows for all your quotes and messages! Original deco not only for the Livingroom and kids room but also for parties, births and weddings. Make up your quote or message and slide the letters on… over and over again! Ride on metal car from Vilac The cool race cars, will make your children real racing drivers! Self-assembly, this is the perfect Christmas gift for kids from 18 month. Your kids will love playing with our Indian Tipi from the famous qualitative French brand. With its wood that does not break but simply wears down with time, it’s the perfect gift for all the family. This banner is great for birthdays, announcements, and declarations of love or just to add a personal touch to your home, office or kids room. The letters are reusable so you can change your message as often as you like! This package contains: 138 cardboard letters, numbers and symbols and metal clips. Banners are available in 3 colors: Black, Pastel and White. I had so much fun working with those lovely ladies and their adorable kids during our Winter Holidays photoshoot. For the children, I wanted to incorporate the world of Kidette Boutique, a beautiful multi-brand concept boutique for children. Kidette offers a large selection of brands from all over the world. I love the well curated clothing selection, things you won't find anywhere else in Dubai. The price range is also well set up, you are guarantee to find something special but affordable for your little ones. I picked festive looks in a non conventional way, lots of frilly tutus from Dolly, American Outfitters glitter sweatshirts, pretty dress with beaded details from Dorian HO while keeping comfort and practicality in mind. The world of Kidette is located in The Mall Jumeirah. The beautiful clothes, well design lush boutique and lovely customer service will impress you. When it comes to styling your house specially during the winter seasons, everyone want to get into the Holidays spirits and add some fabulous festive cheers to the house. 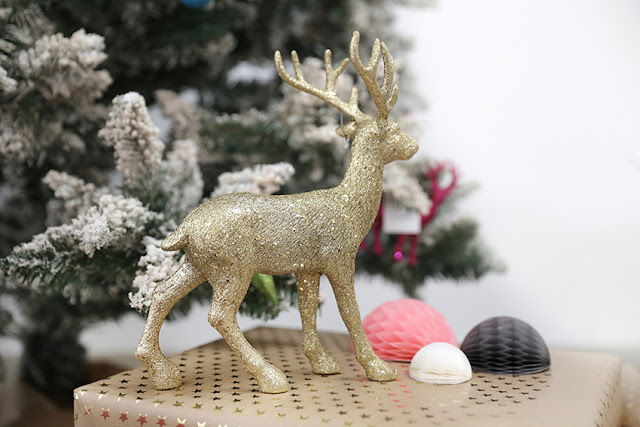 If you are looking for creative fun glam (with budget in mind) for your home this Christmas, get inspired by Emilie from Stella and the Stars. Here's some tips and tricks from the very talented stylist and blogger. We love her energy and bold statement taste, because life is fun and should be fabulous. Emilie, what do you love about Xmas as an expat? I am a newbie so I have no idea what to expect but as with anything new, I am actually massively excited. It's a new adventure, a new experience, we're going to embrace it all! We are spending it with friends this year which we've never done before so really looking forward to a different vibe this year. We have booked a full Christmas day lunch in a fabulous hotel and have been invited to spend Boxing Day at friends with the kids. How do you feel about your first Xmas in Dubai? Do you know what I am really really looking forward to? Spending Christmas day in summer clothes - pretty sandals and with no jumper! This will be my first Christmas holiday in Dubai (after 12 years in London) and there is something about being festive on the beach on Christmas day, right? I just can't wait. Am sure in a few years I'll miss being all snuggled by the chimney while it's cold and snowy outside for as a newbie expat, for now, I am really looking forward to spending it here, in the heat. Please share 3 or 4 easy tips and ticks to decorate the house. 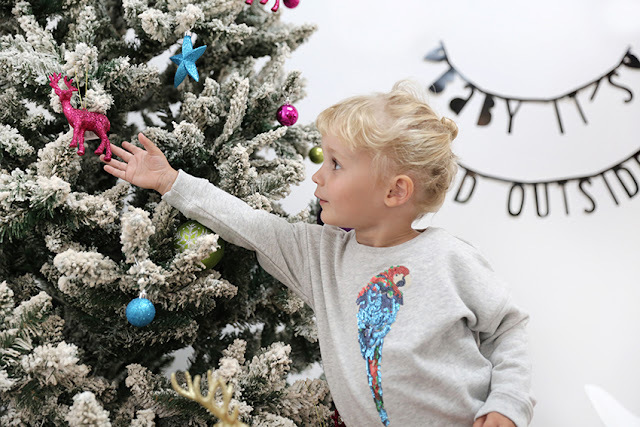 Having a toddler in the house has had an impact on how much I decorate and how I decorate the house at Christmas because things can potentially get ugly before the festivities even start (I can't think of anything more annoying than clearing broken baubles from the floor). I usually don't decorate the bottom of the tree to avoid any little hands stealing any of the decorations. And I try to use the ceiling to hang nice decorations like pompoms, and garlands - again nothing the littel people can reach and potentially destroy. Light is crucial and you really can't have too many fairy lights so I'd say stock on those for the perfect ambiance.And a wreath on the door is a must in my opinion. It just sets the tone the minute to get home. And don't forget about frangrances. Scented candles are a good way to make your home feel christmassy. Most candle brands will have a festive scent collection. How to bring Xmas into the house on a budget? There is no need to spend a fortune to decorate your home for Christmas. There are plenty of fabulous options in the party decorations sections of department stores for example, like paper hanging decorations. If you don't want to spend a fortune on baubles, think of alternative ways to decorate your tree like little bows made of ribbon for example. If you can't justify spending several hundreds of dirhams on a tree, a good option is to by a wooden stand that you can use as a tree. In the process, I had a opportunity to work with a lovely photographer, Racha Hallak. 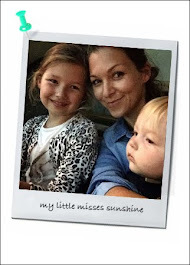 She has the patience and the kind spirit to work with children and a great eye for family photography. Thank you ladies! Getting together, working on a common vision together was the best part of this little adventure. Happy Holidays!